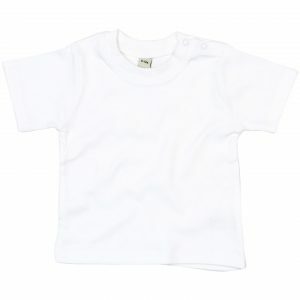 100% cotton T-Shirt with crew neck. 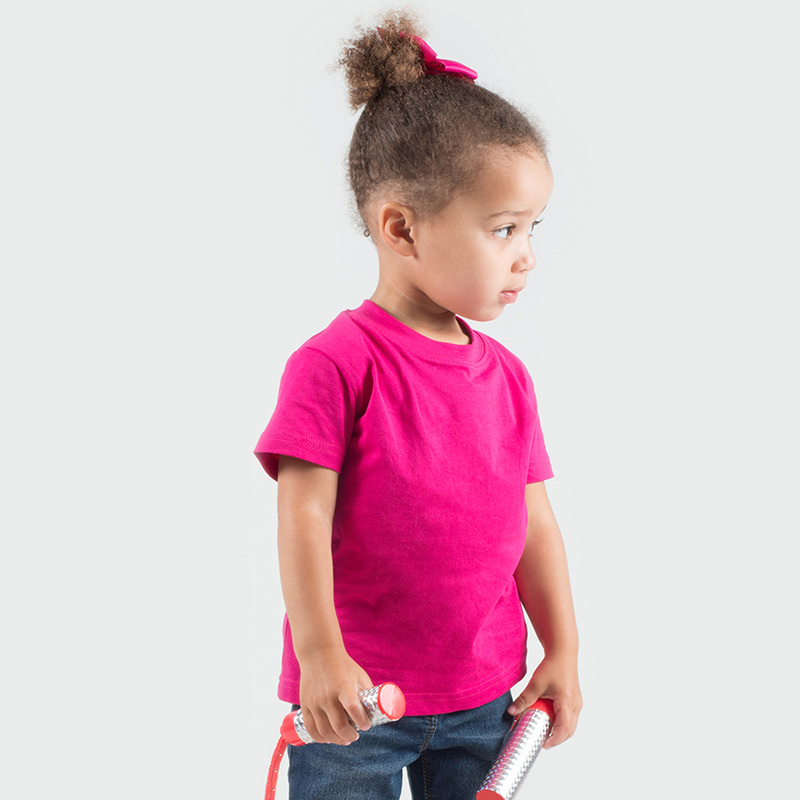 100% cotton baby / toddler T-Shirt available in all colours shown plus heather grey. 160gsm. Comfortable and stretchy fabric. 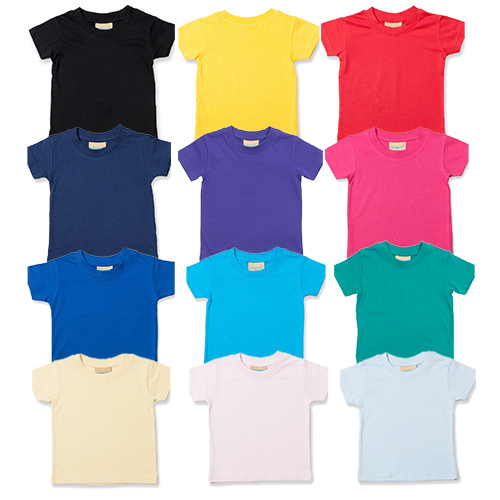 Sizes from 0-6 months to 6 years in most colours. Prices from £6.75 each including decoration.